The discovery of the 7100 island archipelago in the Philippines has been linked to Spain's glorious chain of conquests. On September 20, 1519, a fleet of five galleons commanded by Portuguese Navigator Ferdinand Magellan at the service of the king and queen of Spain set sailed from San Lucar de Barrameda to search for the Spice Islands. They did not find the spice island, instead they landed in Limasawa, a small island south of Leyte in the central part of the Philippines. Magellan took possession of the islands and named it after King Philip of Spain. Magellan's expedition headed for Cebu and found the island very hospitable. He made Cebu the base of his exploration, Christianization and conquests. King Humabon and Queen Juana of Cebu gave him a warm reception and embraced Christianity as well. As gratitude to his hospitality, Magellan agreed to fight with king Humabon who was at war with the neigboring tribe in Mactan island. Magellan was killed in the battle. His men returned to Spain, and that same expedition has also set the record as the first to circumnavigate the earth. Because of Cebuanos suspicion that the Spaniards return has bringing retribution to Magellan's death, another battle broke out. But heavy artilleries and huge cannons forced the natives to flee to the mountain leaving behind their villages burnt to the ground. As Spanish soldiers surveyed the debris of the village, a soldier found an image of the Child Jesus under the pile of ashes unscathed inside a wooden box. As earlier authenticated entry in the Journal of Pigafetta, clerk in the Magellan expedition, explained the origin of Santo Nino: "On the day Queen Juana was baptized by Father Pedro Valderama, chaplain of that expedition, Pigaffeta himself presented her with the Image." The same Image now lies in the Basilica del Santo Nino and become a favorite destination for millions of pilgrims each year. For four and half centuries now, the Image of Santo Nino continues to make wonders in the lives of many Filipinos. On the third Sunday of each year, in Cebu, millions will flock to the streets in Cebu for a colorful festivity, honoring the Santo Nino and placing the Island and the entire Philippines under His Patronage. During the last World War, a bomb fell inside the Church but the Image was recovered unscathed. 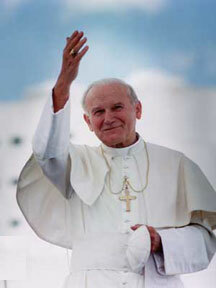 It was one of the numerous miracles and powers attributed to the Holy Image. In 1965 the historic Santo Nino Church was renovated for the observance of the Fourth Centenary of the Christianization of the Philippines held in Cebu City. It was during the centennial celebration that the Sacred Congregation of Rites elevated the Santo Nino Church to the rank of Basilica Minore with all the rights and privileges accruing to such title. In 1968, Sally Famarin brought the devotion to the Holy Infant Jesus to the Bay Area. 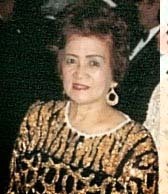 Her tireless effort has brought national distinction to Americans of Filipino descent, and the Santo Nino Fiesta become a recipient of numerous Proclamations from top US government and ecclesiastical officials as one of the most beautiful celebration and a recognition of the continuing friendship and outstanding achievements of Filipino-American community. The devotion of the Santo Nino was also considered the means of inspiring the highest values in upholding sacred traditions of Philippine culture and heritage here in the Bay Area. Through the late Fr. McGee, pastor of the St. Joseph Church in San Francisco, a marble altar was constructed to enthrone the Image of the Santo Nino de Cebu inside St. Joseph Church. On January 17, 1982 a mass in honor of the Santo Nino was celebrated in thanksgiving for the passing of the US Congress Resolution in recognition of the Shrine as part of National Registry of Cultural and Historical Places. The Vatican and Pope John Paul II also sent an Apostolic Blessing, and said "by this time of writing, the Santo Nino de Cebu is the only Filipino identity that is registered in the National Registry of cultural and Historical Places in Washington D.C·. The Santo Nino in San Francisco strengthen that Image." 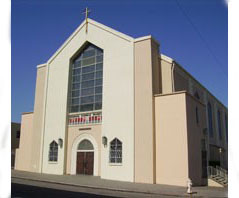 In the 1987 Saint Joseph Church became one of the casualties of the strong earthquake that hit San Francisco and consequently closed its door. In God's divine providence the Santo Nino de Cebu found a home at St. Dominic Church. However, as devotees grow in great numbers over the years, the Santo Nino de Cebu International had searched for a new place where they can be accomodated logistically, and has been recently moved to St. Elizabeth Church. Likewise, the Santo Nino de Cebu devotees have expressed their gratitudes and appreciations to Dominic's Church and the Dominican Friars for their decades of service to the Santo Nino De Cebu. The new home at St. Elizabeth Church under Fr. Suan will continue to serve this great devotion of the Holy Infant Jesus in the Bay Area as Sally Famarin had envisioned when she first welcome the Image of the Santo Nino from Cebu to her home in San Francisco in 1968. Please visit Sally Famarin's website!